Ottawa, September 30, 2014 — Unionized correctional officers begin to push back against the Conservative government’s anti-union attacks this afternoon by talking directly to voters in the federal Ottawa West-Nepean riding. About 200 members of the Union of Canadian Correctional Officers (UCCO-SACC-CSN) will be going door-to-door in the riding to give a factual rebuttal to the Harper government’s misrepresentation of the role unions play in Canada. Under the slogan “Danger Ahead,” this is the first of many targeted outreach campaigns that UCCO-SACC-CSN intends to carry out over the coming months. After a series of laws that weaken union rights for workers under the Canada Labour Code and number of policy resolutions adopted at the Conservative Party’s last convention that would essentially destroy the union movement, UCCO-SACC-CSN National President Kevin Grabowsky says it is time for correctional officers to take action. The federal correctional officers will also tell residents that many of the tools they use to help protect Canadians were obtained from union efforts that may have been impossible under the series of laws Conservatives have implemented or intend to enact. 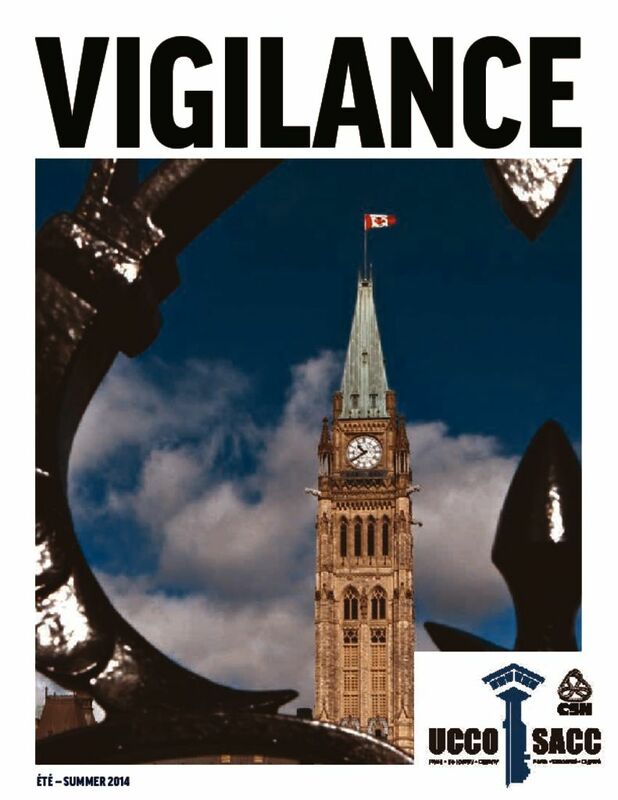 Recent amendments to the Canada Labour Code contained in the omnibus budget-implementation Bill C-4, for instance, weaken the definition of “danger” in a workplace. Correctional officers are directly targeted by this change, as the old definition was crucial to making their workplace safer and more secure. “Unions are essential to Canadian society. By working together unionized workers have won many of the benefits all Canadians take for granted today – a 40-hour workweek, health and safety protections, vacations, overtime pay – the list goes on and on,” said Mr. Grabowsky.